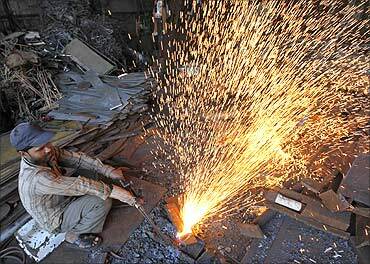 The National Manufacturing Competitiveness Council, or NMCC, may well have been set up in 2004 to provide a sinecure for a Gandhi family loyalist, since few in government took its ideas seriously in the years when overall growth stood at nine per cent and the idea of "industrial policy" was not yet back in fashion. NMCC Chairman V Krishnamurthy often ploughed a lonely furrow: seeking a "level playing field" for domestic manufacturing was still viewed as either demanding protectionism or favouritism. Moreover, in its first term in office the United Progressive Alliance government was excited about its new special economic zones and so did not pay much attention to NMCC's ideas. Image: Any policy that helps deserves a try. There was also the other sub-experiment with the so-called petroleum, chemicals and petrochemical investment regions. 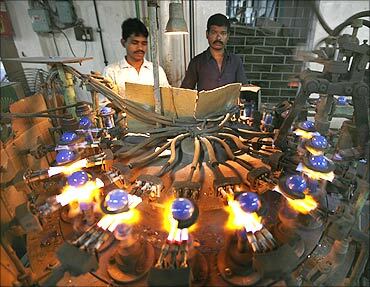 UPA-I's SEZs, however, fell into disrepute and UPA-II slipped into an anti-business phase. So, all was forgotten about SEZs and industrial policy. 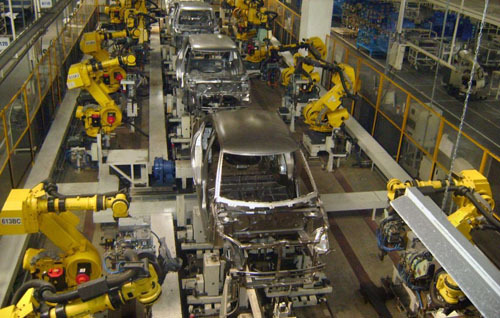 The relentless rise of Chinese manufacturing, in the wake of the transatlantic financial crisis and in the face of a global economic slowdown, and recent concerns about industrialisation at home have finally brought "industrial policy" back into fashion. After having dumped the ideologues of the now discredited Washington Consensus, New Delhi's policy makers are now courting the likes of Dani Rodrik. Thus was born UPA-II's national manufacturing policy. Critics are not wrong in stating that the national investment and manufacturing zones are nothing more than SEZs in a new garb. Image: UPA-I's SEZs, however, fell into disrepute and UPA-II slipped into an anti-business phase. The NIMZs aim to increase manufacturing sector growth by two to four percentage points above recent trends so that the share of the manufacturing sector in national income can rise to at least 25 per cent of gross domestic product by 2022. 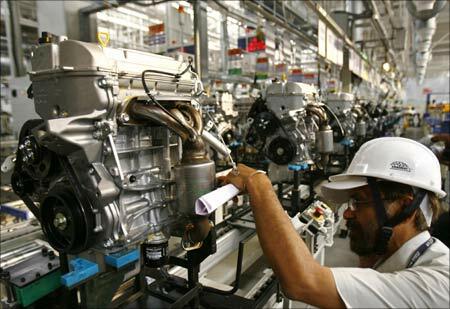 It hopes to increase the rate of job creation in manufacturing to create 100 million additional jobs by 2022; create the required skills and human capabilities among rural migrant and urban poor so as to make the growth process more inclusive; increase domestic value addition and technological "depth" in manufacturing; enhance the global competitiveness of Indian manufacturing through appropriate policy support; and, finally, make the industrialisation process more environment-friendly, encouraging energy efficiency, optimal utilisation of natural resources and restoration of damaged/degraded ecosystems. 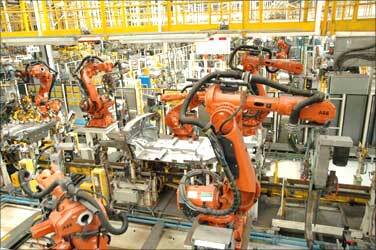 Image: NIMZs aim to increase manufacturing sector growth. Be it SEZs, PCPIRs or NIMZs, these are all desperate attempts by policy makers seeking to increase the share of manufacturing in India's national income without having to deal with the political economy of a backward-looking trade unionism and the populism of left-of-centre parties. If every state government can offer an environment as conducive to business as the one Gujarat's Narendra Modi has worked hard to offer, one does not really need these zones. Image: SEZs and NIMZs are desperate steps to boost manufacturing. However, since India's competitive populism is going to come in the way of a sensible national industrial and labour policy, which would in fact benefit labour and business, politically constrained governments will have no option but to offer these escape routes for industrial development. India needs manufacturing sector growth for a variety of reasons ranging from job creation, enterprise and technology development to the needs of defence and national security. Any policy that helps deserves a try. Image: Populism comes in the way of sound policies. India rising: Where is it on the global stage?